The Trump administration on Friday targeted an Obama-era regulation credited with helping dramatically reduce toxic mercury pollution from coal-fired power plants, saying the benefits to human health and the environment may not be worth the cost of the regulation. 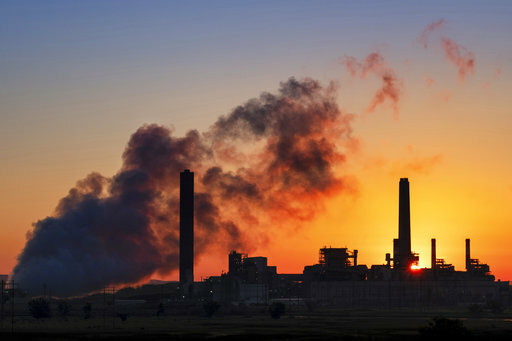 Overall, environmental groups say, federal and state efforts have cut mercury emissions from coal-fired power plants by 85 percent in roughly the last decade. Mercury causes brain damage, learning disabilities and other birth defects in children, among other harm. Coal power plants in this country are the largest single manmade source of mercury pollutants, which enters the food chain through fish and other items that people consume. A proposal Friday from the Environmental Protection Agency challenges the basis for the Obama regulation. It calculates that the crackdown on mercury and other toxins from coal plants produced only a few million dollars a year in measurable health benefits and was not "appropriate and necessary"—a legal benchmark under the country's landmark Clean Air Act. The proposal, which now goes up for public comment before any final administration approval, would leave the current mercury regulation in place. However, the EPA said it will seek comment during a 60-day public-review period on whether "we would be obligated to rescind" the Obama-era rule if the agency adopts Friday's finding that the regulation was not appropriate and necessary. Any such change would trigger new rounds in what have already been years of court battles over regulating mercury pollution from coal plants.